PowerShell Script to Bulk Update UPN (UserPrincipalName) Suffix in a Single Non-Routable Domain. | Chinny Chukwudozie, Cloud Solutions. ← Create a UPN Suffix using PowerShell for Office 365 Migration. The first line of the script uses the Get-ADForest cmdlet to extract the first element of the upnsuffixes collection property and assigns it to the $newupn string variable. 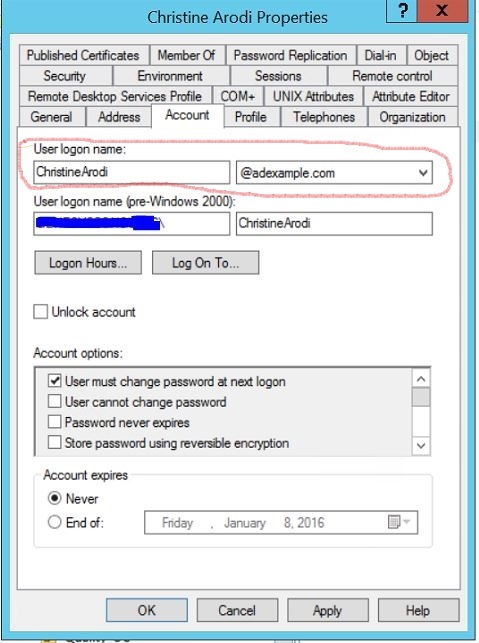 The script could be adapted to any Active Directory environment. 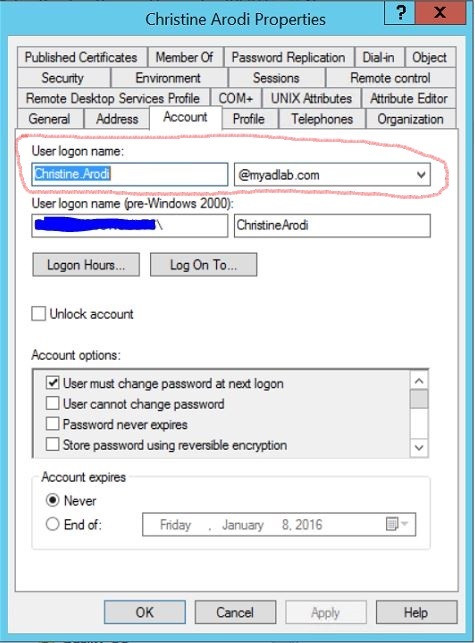 This entry was posted in Active Directory Domain Services, Office 365, PowerShell, PowerShell 3.0, Powershell 4.0, Script, Scripts, Windows Server 2008 R2 Backup, Windows Server 2012 R2 and tagged Active Directory Domain, Active Directory PowerShell Module, Bulk Update, Non-Routable Domain, PowerShell 4.0, Scripts, Suffix, UserPrincipalName, Windows Server 2008 R2, Windows Server 2012 R2. Bookmark the permalink.